Despite Peter MacKay’s helicopter ride, admitting to spreading false rumours of an impending resignation of an MP in Montreal and the troubles in Attawapiskat, the Conservatives still hold a comfortable nine-point lead over the opposition New Democrats, according to a poll released this week by Abacus Data. The online survey was taken between December 2 and December 4 in the midst of these developing stories. Yet, compared to Abacus’s last poll dating from mid-August, before the death of Jack Layton, the Conservatives are up two points to 40 per cent support. The ability of the Tories to travel unscathed through scandal and bad press has been a major feature of their record in Ottawa since they were first elected to government in 2006. Stephen Harper’s party has continuously held a lead over its rivals with only a few fleeting interruptions since then. It helps that more Canadians currently believe the country is headed in the ‘right direction’ than those who say it’s on the ‘wrong track.’ Optimism is highest in British Columbia and Alberta, where 57 per cent say Canada is headed in the right direction, while in Quebec 55 per cent think the opposite. Quebec continues to be the only real problem area for the Tories. Their support in the francophone province is unchanged at 21 per cent. But Harper’s approval rating, at 40 per cent nationally (43 per cent disapprove) is at only 20 per cent in Quebec. Fully 55 per cent of Quebecers disapprove of the job the Prime Minister’s government is doing. But while the New Democrats still lead in Quebec, their support has fallen to 36 per cent, echoing the drop in support that has been reported in other polls. The Bloc Québécois is holding steady at 26 per cent, while the Liberals are up two points to 13 per cent. Nationally, the New Democrats are down only one point to 31 per cent since August, the same result they had on election night. The Liberals are at 18 per cent, far below the 28 per cent that has been recently reported. However, that poll was taken over different days so it is possible that Liberal support dropped in the two weeks separating the two surveys. While the party appears stagnant, Bob Rae does have a leg-up over his opposition rivals. At 25 per cent, more Canadians have a favourable opinion of the interim Liberal leader than they do of the NDP's Nycole Turmel (18 per cent) or the Green Party's Elizabeth May (24 per cent). His unfavourability rating, however, is also higher than either Turmel or May. 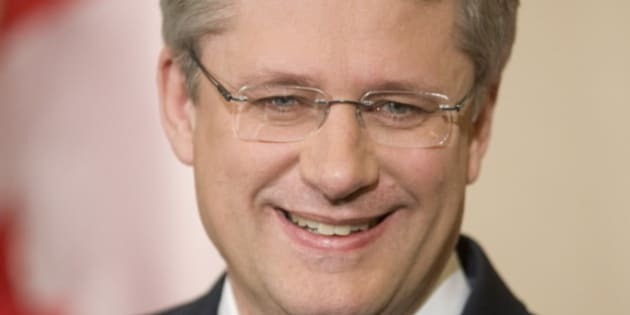 Stephen Harper, meanwhile, has both a higher favourability rating (37 per cent) and unfavourability rating (43 per cent) than any other leader, partly owing to the great number of people who answered “neutral” for the opposition heads. Interestingly, Harper and May have the highest favourability ratings amongst their own supports: 84 per cent for Harper and 80 per cent for the Green Party leader. Rae, at 66 per cent among Liberal supporters, has a level of favourability within his own party that Michael Ignatieff never enjoyed, while Nycole Turmel, at 44 per cent, does not seem to be generating much enthusiasm from NDP voters. However, only seven per cent go so far as to say they have an unfavourable opinion of her. What they’ll think of the party’s next leader remains to be seen.